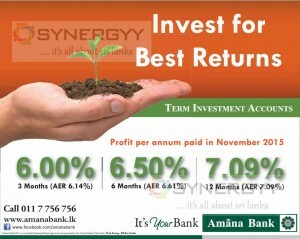 Amana Bank ia a one and only Islamic bank operates in Sri Lanka announces their highest profit sharing percentage for term investment as per November 2015. Start Terms Investment Account with Amana Bank today to get an attractive return. Indian High Commission in Sri Lanka and Indian Trade Promotion Organisation have organized a Business to Business meeting point at India Sourcing Fair 2015 at SLECC, Colombo Sri Lanka. This is a very good opportunity for entrepreneurs from both countries to start up and expand their business with Indian and Sri Lankan territory. Especially India is the main country supplies many goods and service imports to srilanka under SAFTA agreement and SAPTA agreement. Therefore these agreements would help many businesses to expand their sales and marketing between India and Sri Lanka at considerable tax relief environment.